I am now back home after my English adventure and Arthur Findlay College more than exceeded my expectations. The facilities were wonderful and the old mansion located in Essex was steeped in history and surrounded by beautiful gardens with horses grazing in the field next door. It was glorious! Don't get me wrong, it was hard work with 12 hour days of study every day, even weekends and I was there for 20 days. That's a lot of study so I was pretty exhausted when I got back home. I learned techniques that I will now incorporate into my work and others that will help future students that I teach. What I am heartened by is that the quality of teaching that I have learned under for many years more than stands up when compared to what is taught around the world. I was studying with students from all around the world including the UK, Holland, USA, Germany, Denmark, Norway, Sweden, Italy, France, Canada, China, New Zealand and many more countries, so I got to see the level of knowledge other students had and how they work. Most are professional mediums as I am so I was able to validate that the training I have had all these years is world class. I look forward to sharing my training and abilities with you either through a reading or teaching others. Arthur Findlay College - here I come! I am so excited! After many years of wanting to go, I finally have the chance to study at Arthur Findlay College in England. For Mediums, it's like the Oxford or Princeton University and we all want to go there at least once in our careers. Lucky for me, I am doing 3 one week courses and I am excited beyond words. I strive to be the best Medium I can be. 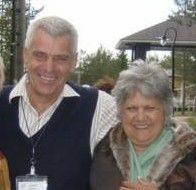 Within the evidence that I provide to clients, in being able to connect better, in getting better connections with spirit people and those here on the earth plane. Most importantly, in providing better proof of survival information. By that I mean getting irrefutable proof that your passed over loved ones are connecting with you and that it is they who I am communicating with so you know beyond doubt that it is them. I want to do better and always strive to do the best I can and Arthur Findlay College will help to push me further which can only benefit my clients. So I am thrilled to be moving forward and I trust that you will reap the benefits of my study. I'll share my adventures when I return! In my line of work, the best advertisement is word of mouth recommendations from those who have had a reading with me. So thank you very much to everyone who has been recommending me to their friends, family and colleagues. In a way, it's almost frowned upon to pay for advertising when you are a Psychic Medium, even amongst working Mediums! I'm really not sure why that is but I suppose there is some philosophical expectation that if we are meant to be successful then the spirit world will make us so. When I say this it doesn't actually make sense to me. We can't just sit back and expect success to come to us and yet in a way we almost leave it up to the spirit world to see if we are meant to be successful! Like a spirit speed date hoping we are attractive enough, smart enough, good enough to be chosen! Doesn't make sense does it? I suppose it's because it's seen as bad form to be self promoting as our training is all about leaving our ego to the side and not looking for personal glory. We take on this often difficult life (and certainly it can be controversial depending on your spiritual belief system), not because we want to be famous and rich, but because we want to provide healing to others, to be of service to the spirit world and to make a difference in a positive way. Let's be honest, how many really famous and wealthy mediums do you know of? You could probably count them on one or two hands so this isn't the field you get into with an expectation to become famous and rich. You do it because every day you see the difference it can make to the lives of people who are bereft of their loved ones who are grieving and in pain or who need solace and guidance about how to move forward in their lives. I am very blessed and it is my honour and privilege to do this work. Find me at a Psychic Fair near you! I can't believe how fast the year is going! Where does the time go? It sometimes feels like God has taken hold of a calendar and is just flicking quickly through the pages. I recently started on the Psychic Fair circuit that goes to different parts of Melbourne and other towns in Victoria. Till now I have mainly done private readings, psychic parties or public galleries and wasn't sure at first how I would go. These speed readings are somewhat of a new experience for me. But I'm really enjoying it as it allows me to reach those that need my services in areas that I might not otherwise get to as I don't have a base there. It's also more affordable because it is for a lesser time than a private reading so costs less as well. What's been really wonderful is that it enables me to help people by making my reading services assessable to those who really need them so I'm thrilled about that. I've also been able to circulate my business card and build word of mouth recommendations about the quality of my work through those I have read for at the psychic fairs. This has led to other bookings! So keep your eyes out for me in your area and check on my Events Calendar page to see where I will be each month. I hope to be in your area soon and meet you face to face! It's time to take control of your life by steering your life forward in the direction you want it to go. Don't be a bystander or passenger in your own life but instead shape your own destiny. Take stock of your life realistically. Do the joyful moments currently outweigh the difficult ones? Are you just going through the motions of life without really living it? What makes your heart sing and how much of your time is spent focusing on that item? Do you find excuses to not follow your dreams (lack of money or time, or too much duty and responsibility etc)? If I asked you to clearly articulate what you want to be remembered for and what you want your legacy to the world to be, do you even know? Everyone has something unique and special about them, what is your something? It's now time to get serious about shaping our lives, taking action and living a purposeful and authentic life. Money and material things don't of themselves make people happy. Long lasting and true happiness comes from within and no amount of external props can make up for a lack of inner contentment. So don't focus on what is lacking in your life but instead focus on what is plentiful. And then harvest that to make a fruitful contribution to your own inner happiness which will radiate onto those around you. Create a life that shows the world who you really are on the inside and know that through this bravery, you will inspire others to do the same. The festive season is often a time of year when we remember Christmases past when our loved ones were with us. We think of fun memories and family traditions, including those presents that we still shudder about, like in my case the dried flower arrangement I received as a small child from an elderly relative. Yuck! But we can laugh about them now and know that all of those insignificant things that happened make up memories that we will always remember. At this time of year we think back to times when our loved ones were all together, both living and those who have since passed over. A common theme in readings I have given recently is that loved ones in spirit are with you and will be celebrating along side you during the Christmas period and other upcoming family celebrations. So please know that when you are popping the champagne cork or Christmas crackers, your loved ones in spirit are celebrating right along side you. You may not see them but if you take a moment and think of them, you will feel them with you. Please also take a moment to thank the animals who have sacrificed themselves to provide the festive fare at your table and spare a thought for those who have little means or family and friends to celebrate with. Be grateful that you have known love and friendship because the memories continue to warm your heart and soul long after your loved one has physically left the earth plane. And their love for you in Spirit continues for eternity. Happy Christmas to you all and wishing you all blessings and abundance in 2014. Shouldn't Psychics provide their services for free? I actually did donate my services doing free readings and Reiki for a number of years but at the time I also held a full-time job outside of this field that was well paid and covered my expenses. Thinking back over the 2005, 2006 and 2007 period, I was working full-time, was sharing the care of my mother to keep her at home after she suffered from multiple strokes & advanced dementia, and I sat in development circles three nights per week (one for my own development, one to advance someone else's abilities and the third to teach a beginners class). I was also doing free readings over the phone and in person in my "spare" time, and visiting sick, grieving or disabled people to provide healing and spiritual support to them and to their families. I was the Secretary of a non profit spiritual organisation (Woodlands Sanctuary) whose link is on my website. And I attended every development workshop I could but drove home afterwards no matter how far away they were so I could still help in the care of my mother. Phew! I don't know how I did it all! I've studied, taught, read & learned about spiritual and psychic modalities for over 15 years and have paid many thousands of dollars attending development circles, courses, workshops, buying, researching and reading books, teaching others, listening to CD's and DVD's, not to mention all the travel, dedication, time and commitment focusing on developing my abilities, even during very tough times in my life. I continue to this day to sit in a weekly development circle to hone my abilities so as to maintain the quality of my work to the highest levels. My clients benefit from all that I have done and continue to do to develop and hone my abilities. So do I think I should be paid for my services? Absolutely! I now focus full-time on doing psychic and spiritual work so have no other outside income. Priests, doctors, nurses, counsellors, therapists etc, all get paid. And like you, I have a mortgage, rates, utilities, insurance, food, petrol & living expenses to pay for too. I believe my fees are very reasonable given the amount of training I have done & I did much research before I set the prices to ensure that was the case. Let me just say that I am unlikely to get rich doing this work. At least not in monetary terms. But from a spiritual & personal satisfaction aspect, I am the richest person in the world! It's late and I can't stop thinking about the devastating impact of the typhoon in the Philippines on innocent people and children who were simply going about their business. What determines who survives and who doesn't and whether we are in the wrong place at the wrong time or are spared? I don't know the answer to that. Only God knows. What I do know is that while we may think that someone dies before their time, that isn't the case. From the many readings I have done over the 15 years or so that I have been doing this work, I know that time is a human measurement. In the spirit world, there is no time. It doesn't exist. I know that the spirit world will be out in force helping those who suddenly find themselves on the other side because of the typhoon and they are also helping those left behind to overcome their sudden loss. So I wish God speed to those suddenly finding themselves on the other side, and healing and love to those who have to let them go. My thoughts are with you. Hello world, this is who I am! I am now officially a small business owner! I'm proud to have taken the plunge but also a bit nervous as the buck now stops with me. But I'm up for the challenge and know that I am lucky to have the support of those I love, both here and on the other side to inspire me to do well. The same can be said for what we do with our lives. Isn't it better to do what you are most passionate about and fail than to succeed at something that you don't get any pleasure from? I know it's a cliché to say it but life's too short to waste any of it just going through the motions rather than truly living and experiencing the happy, sad, high's and low's of life. Sometimes life's obligations make it difficult to follow your heart's desire as you need to pay the bills and let's face it, to maintain a reasonable lifestyle. But I have come to realise that living my most authentic life and letting people see who I really am, is worth everything to me. I believe that everyone is entitled to believe whatever they want to believe and I am not asking anyone to believe what I do. But I do ask that they respect my views, just as I respect theirs. This was brought home to me recently when I asked a friend to circulate my new website details to some other friends but one of them didn't receive it well. I think it was the bit about talking with spirits which is actually part of my Spiritualist beliefs. Had I reacted the same to their Christian beliefs I would be breaking the law by restricting their right to freedom of religious expression. It certainly stopped my website details from being circulated more widely in case anyone else was offended which was a shame. The Bible says to test the spirits, and I certainly do. Enough said. So world, this is who I am - a psychic medium who is finally able to be me. Thank God! Enjoy the rest of Spring as we never know what lies ahead. Well this is my first blog on my very own website! It may not sound like much but it's the end of a long chain of events that now enables me to focus on what makes my heart sing. That's connecting with loved ones who have passed over so that you know they are still in your life and are aware of what is happening around you, especially during trying times. We are well into Spring now and hay fever is playing havoc with me. But aren't the flowers beautiful and the grass is a lush green too? It's my favourite time of the year, right before summer comes and then the grass goes brown and it gets too hot to do anything! October is here now which for me means catching up with new and old friends from all over the world at a Trance Workshop. I also get to spend extra time with my mentor, teacher and friend Audrey Willey and her husband Garth (who is all those things to me too!). Here they are in the attached photo. And of course, their gorgeous dog Molly is a friend to one and all and loves to do meditation with us all. Really! It will be a very intense workshop and I'm really looking forward to stretching my abilities. I'll post some photo's afterwards so you can see the beautiful surroundings at Woodlands Sanctuary and see some of the gang that I study with.